Cape Town is a beautiful city nestled between dramatic Table Mountain and the Atlantic Ocean and boasts a stunning waterfront setting. 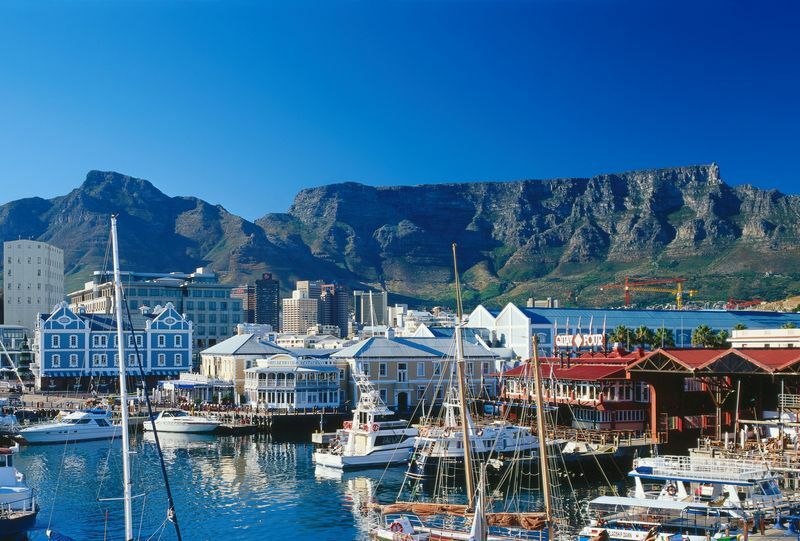 Home to many top attractions including the V&A Waterfront, Robben Island, Cape Peninsula and the spectacular Cape Winelands, the city is also renowned for its fabulous food and wine, vast array of bars and restaurants, craft markets, boutiques and speciality shops. Sevens rugby tours are great fun and spending a memorable few days in vibrant Cape Town, watching the World Sevens Series at Green Point Stadium is a mouth watering prospect. 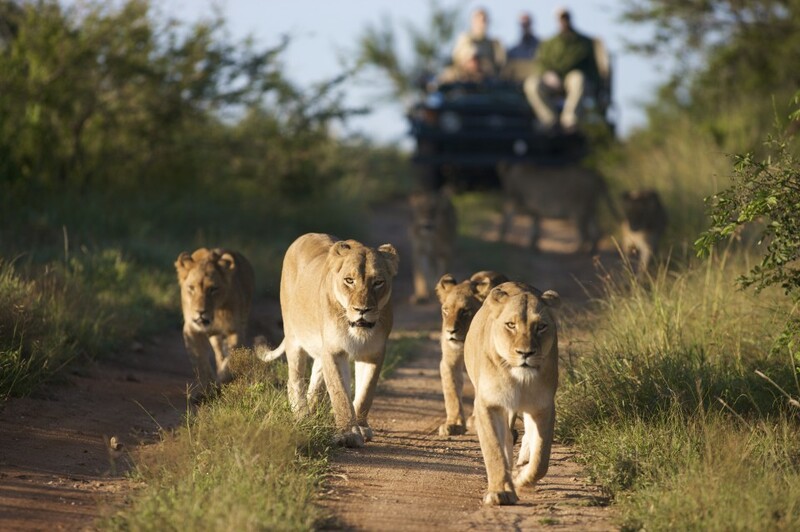 Enjoy a stunning safari experience at Kapama Private Game Reserve in search of the 'Big Five' before flying to Cape Town for the fun and excitement of the Cape Town Rugby Sevens. Additional nights on request...stay as long as you like. Travel insurance, stadium transfers, meals unless otherwise stated, pre-seating charges applied by airlines & items of a personal nature. 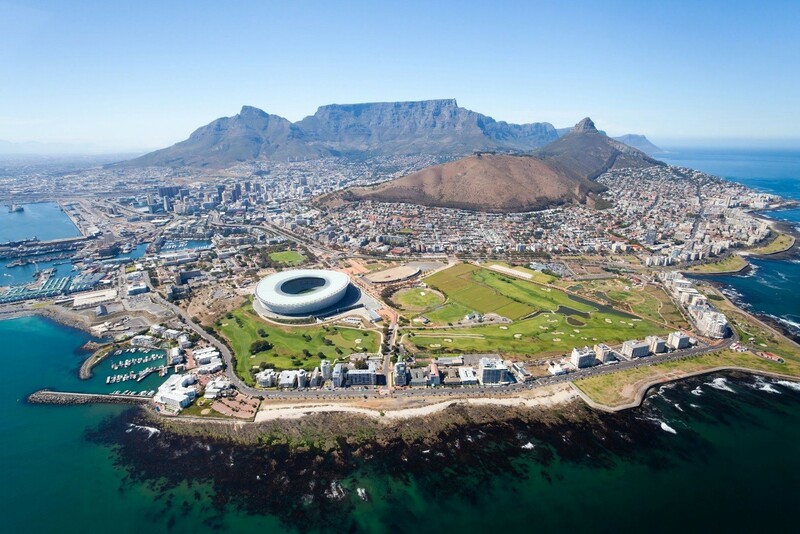 Depart Heathrow on your overnight flight to Cape Town. On arrival you will be met and transferred to your chosen hotel. Dias called it the Cape of Storms. Drake said it was “the Fairest Cape in the whole circumference of the earth.” For first time visitors it is love at first sight. Unpredictably moody, unbelievably serene - that’s Cape Town. With its majestic Table Mountain backdrop, Cape Town is one of the most beautiful cities in the world…it is cosmopolitan, complex and compelling where every day offers a multiple choice of enjoyment: new experiences, scenery that stretches beyond your imagination and a wonderful patchwork of cultures. 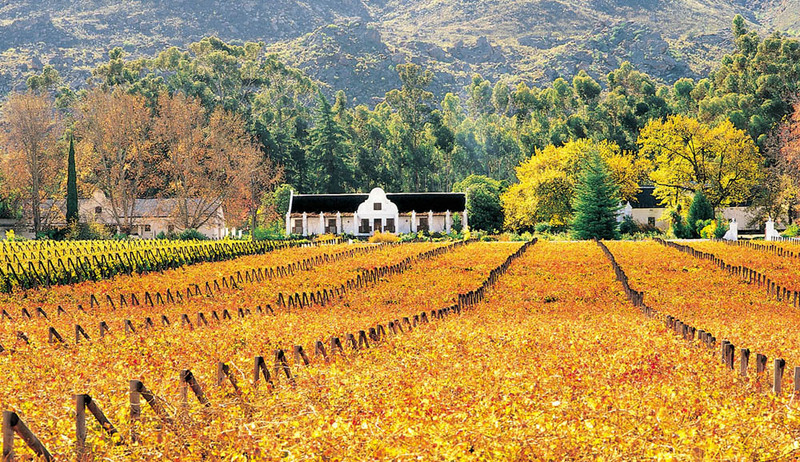 Enjoy a full day exploring the city and surrounding beaches, winelands and National Parks. Spend time at the vibrant V&A Waterfront with its many shops, restaurants and bars or alternatively take a trip up Table Mountain, visit Robben Island or book a sightseeing tour to the Winelands or Cape Point. The two-day rugby festival starts around 9.30am and carries on throughout the day. Make your own way to/from the Stadium at Green Point. After a day at the rugby it's time to follow the crowds to the V&A Waterfront and enjoy dinner and drinks with rugby fans from around the world. Another full day of rugby action awaits starting at 9.30am. Today’s action culminates in the Grand Final when the champions of the Cape Town Rugby Sevens will be crowned. A final day to explore, relax and generally enjoy the sights and attractions on offer. It's time to prepare for your journey home. You will be transferred to Cape Town Airport in plenty of time to complete check-in formalities for your flight to London. Depart Heathriw on your overnight flight to Johannesburg. On arrival, transfer to your ownward flight to Kruger Hoedspruit Airport. 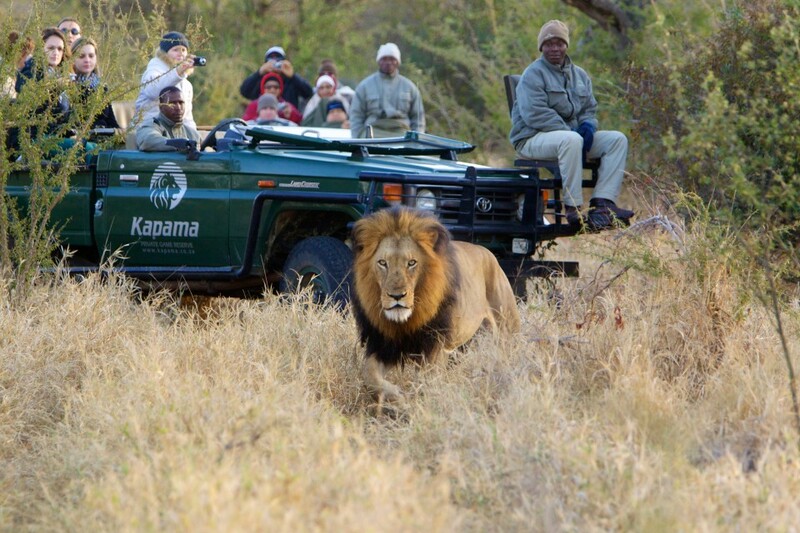 On arrival you will be met by Kapama Rangers in open safari vehicles who will drive you to Kapama River Lodge. Kapama Private Game Reserve is an African Eden. Sweeping across 13 000 hectares of savannah and riverine forest, Kapama represents a piece of Africa as it used to be. 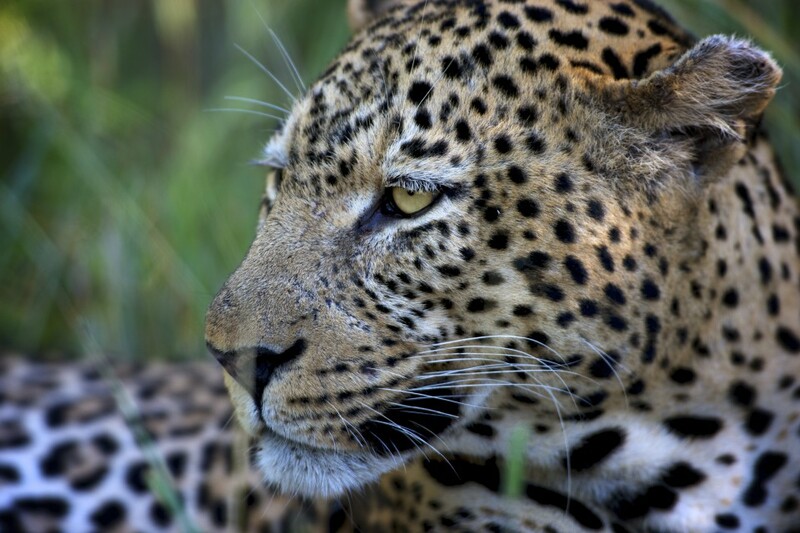 With the mighty Drakensberg mountains in the distance and iconic Kruger National Park to the east, Kapama offers the finest wildlife safari with vast herds of buffalo, elephant and antelope along with plentiful predators resident on the reserve. 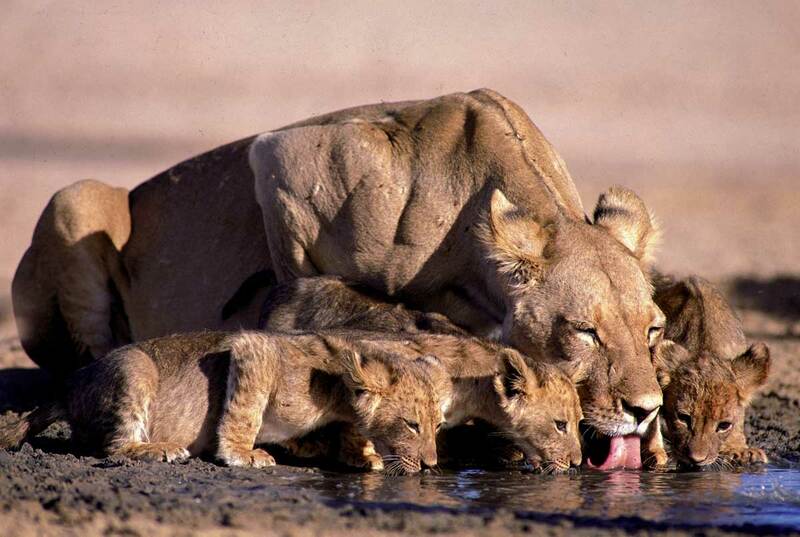 Enjoy your first safari later in the afternoon including sundowner drinks in the bush. Return to the lodge for dinner in the Lodge dining room. The days start with an early wake-up call between 5am and 5:30am. Tea, coffee and rusks are enjoyed together before heading out at first light. Halfway through the game drive, there’s a stop for hot drinks and snacks, before returning to the lodge at around 9am for a hearty breakfast. 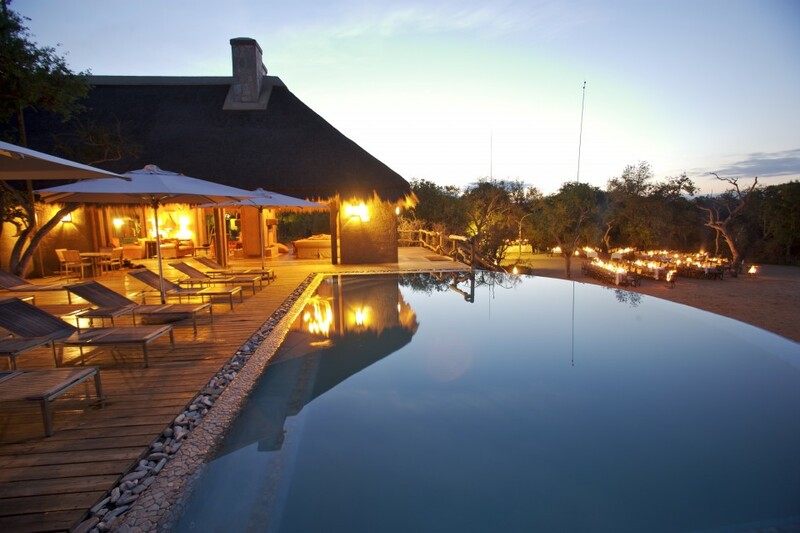 After breakfast relax around the pool or enjoy one of the many activities the lodge has on offer, including (payable locally) spa treatments, an Elephant back Safari or nature walk with your Ranger. Lunch is served at your leisure and will be followed by an afternoon safari. Dinner will be served at the lodge dining room or in the open air Boma. Enjoy an early morning safari followed by breakfast before checking out and transfering to Hoedspruit Airport for your flight to Cape Town. 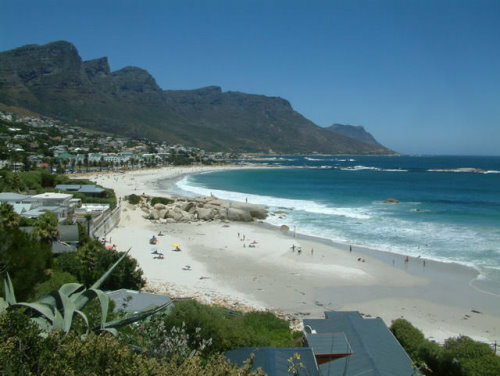 Arrive Cape Town where you will be met and transferred to your chosen hotel. SunSquare Cape Town City Bowl is a new addition to Cape Town’s city centre and offers guests great value, contemporary accommodation. Situated on the corner of Buitengracht and Strand Street, the bustling location inspires visitors to explore the city and surrounding foodie district. Rooms are bright, modern and spacious and feature an en-suite bathroom, air-conditioning, complimentary WiFi, electronic safes, in-room tea and coffee facilities and hairdryers; in addition to a porter service and wake-up call facility. Enjoy a coffee in the spacious hotel lobby or head through to Vigour & Verve, where great food and drinks are served all day long. 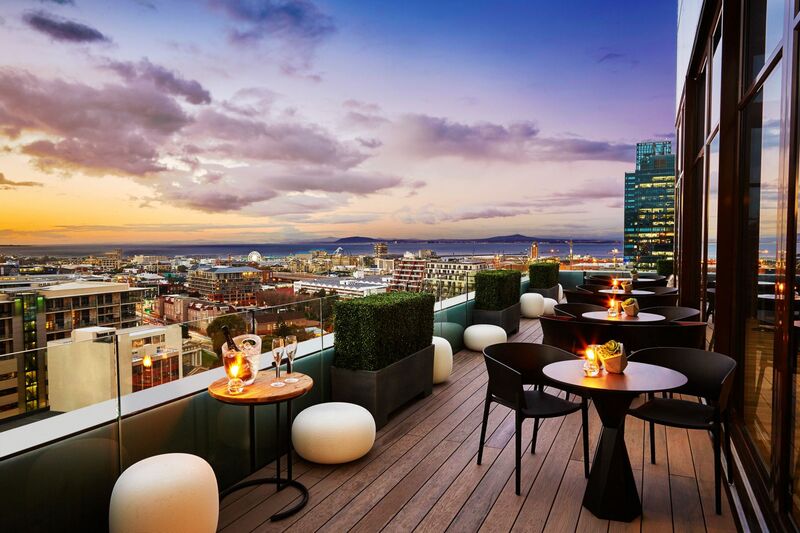 The Rooftop Bar on the 14th floor is a welcome retreat and offers access to the enclosed pool deck and outdoor terrace overlooking Cape Town harbour and Lions Head. This popular hotel enjoys an excellent location just a short drive from the V&A Waterfront and 10 minutes from the stunning sands of Camps Bay Beach.The President Hotel prides itself on its friendly staff and attentive service. Spacious bedrooms are decorated in a contemporary style and feature both digital TV and high-speed internet access. 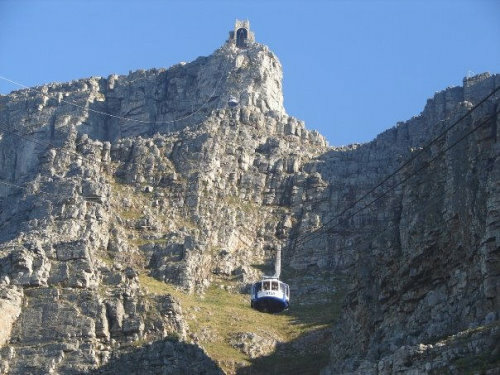 They provide wonderful views of the azure Atlantic ocean or Signal Hill and Lions Head Mountains. The pool areas are stunning. The Senate Bar overlooks the pool and is an idyllic spot for gazing at the sunset over the ocean with a freshly-prepared cocktail. If you are feeling energetic, there is a fully-equipped gym at the hotel. Or the beachfront promenade, in front of the hotel, is the perfect location for an evening jog or stroll. 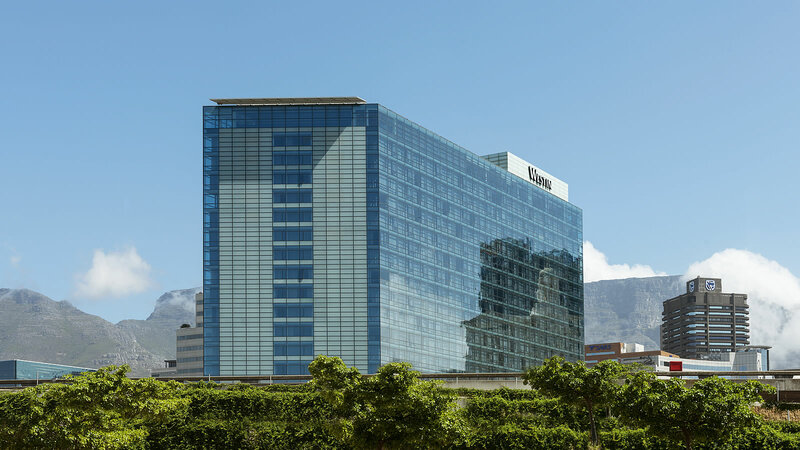 A luxury stay in the heart of Cape Town awaits at The Westin Cape Town. Enjoy panoramic views of Table Mountain, the V&A Waterfront and Table Bay. 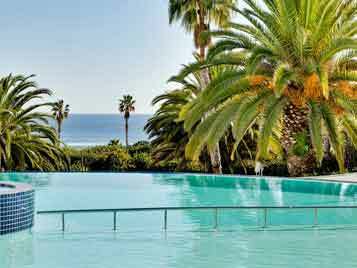 Hotel highlights include 2 popular restaurants, a lounge bar, full-service spa and indoor and outdoor swimming pools. Other amenities include free WiFi in public areas, a coffee shop/café, and laundry facilities. All 483 spacious rooms are well furnished and feature en-suite bathrooms, premium linens and nice touches like bathrobes and free toiletries. Coffee/tea makers, free newspapers, and in-room massages are also available. 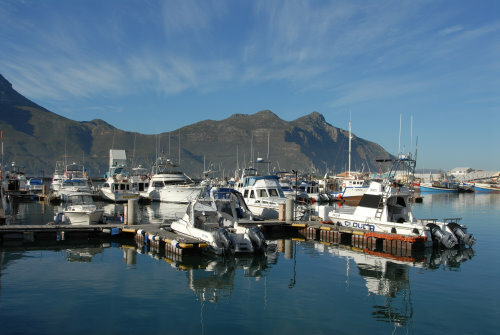 The hotel offers complimentary shuttle transfers to the V&A Waterfront. Kapama Private Game Reserve is an African Eden. Sweeping across 13 000 hectares of savannah and riverine forest, Kapama represents a piece of Africa as it used to be. Located in close proximity to Eastgate Airport, guests are met by rangers and taken to the lodge in open vehicles. As part of the greater Kruger area, vast herds of buffalo, elephant and antelope are resident on Kapama, along with plentiful predators. The majestic northern Drakensberg mountains form the backdrop to the lodge, which is positioned along a bend of the seasonal Kapama River. River Lodge epitomises five-star safari accommodation with each spacious room featuring a full en-suite bathroom and uninterrupted views of this game rich, Big 5, reserve. Guest entertainment includes a swimming pool, lounge, bar, library, curio shop and boma. Meals are of a buffet style and offer a variety of freshly prepared pan African dishes. BA offer the only non-stop service to Cape Town. South African Airways / Emirates offer alternative flight options to Johannesburg and home from Cape Town. Prices on request. When you have chosen the holiday you wish to book please call our sales team on 01737 244398 to check availability. To confirm your booking we need to collect a deposit payment equivalent to 50% of the total holiday price. When making holiday payments we encourage you to pay by bank transfer. We also accept debit & credit card payments. The person signing the booking form will be treated as doing so on behalf of, and with the consent of, all the persons for whom the booking is made and is responsible for ensuring due payment of all monies. Please ensure you return your signed booking form, together with a copy of the photograph page of all travellers passports as soon as possible after your receive your booking confirmation invoice.